Zombie Pool. 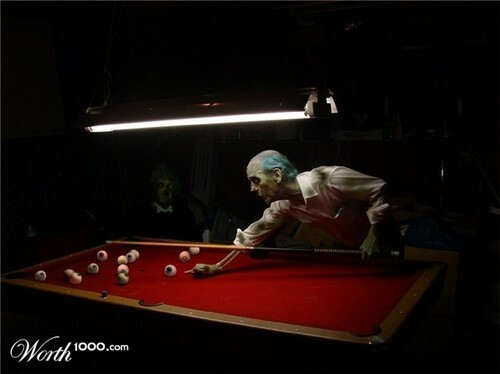 Zombie Pool. Wallpaper and background images in the Horror فلمیں club tagged: horror zombies pool eyeballs what if zombies rule. This Horror فلمیں photo contains بلئرڈ کمرے, بلئرڈ سلون, بلئرڈ پارلر, بلئرڈ ہال, بلئرڈ سينٹر, بلئرڈ parlour, پول ٹیبل, بلئرڈ ٹیبل, سنوکر ٹیبل, اسنوکر ٹیبل, poolroom, and پولروم. There might also be ئدنسوکٹ and گیندبازی.